The Magic of Lewis Carroll: edited by John Fisher. Published by Penguin Books Ltd; New edition (30 Oct 1975). I love the cover illustration of this: it’s reversed on the back cover. With illustrations by Sir John Tenniel, Henry Holiday, Arthur Frost, Harry Furniss and Lewis Carroll. Topics covered include `Thimble Thaumaturgy’, `Anagrams’, `Flower Riddle’, `Origami’, `Doublets’, and `Knot Two – Eligible Apartments’. Given to me by David Hyatt-King: thanks! Alice in Puzzleland by Raymond Smullyan. 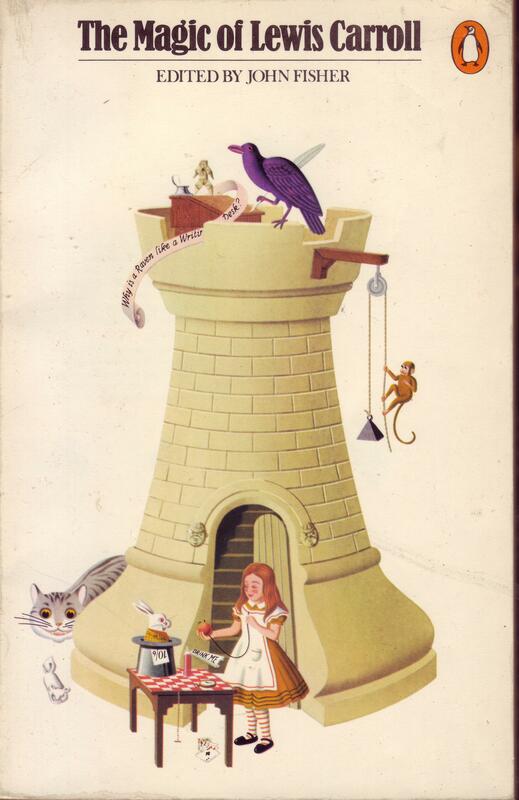 Illustrated by Greer Fitting. 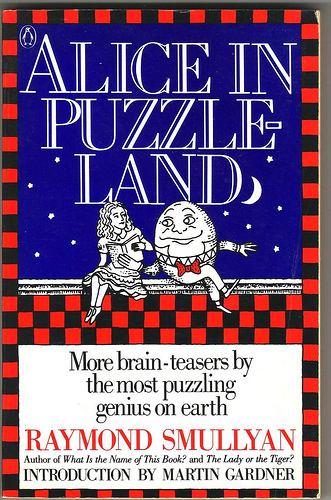 A range of puzzles dealing with word play and logic, mathematics and philosophy, featuring Alice and the creatures of Wonderland. The King did not finish his sentence but stood lost in thought. “And then what?” asked Alice. “And then I woke up!” said the King, a bit sheepishly. 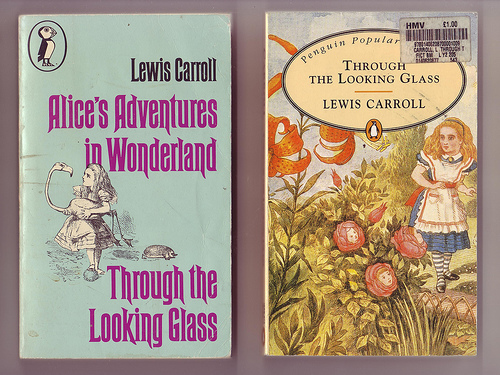 Two versions of Alice, one Penguin, one Puffin, one Wonderland, one Looking Glass. Both original author and illustrations. Puffin: published 1962, this copy 1976. Not the most interesting things in my collection, but I do love the cover of the Puffin. Aspects of Alice: Lewis Carroll’s Dream Child as Seen Through the Critics’ Looking-glasses, 1865-1971 edited by Robert Philips. Published by Penguin 1971, this copy 1981. 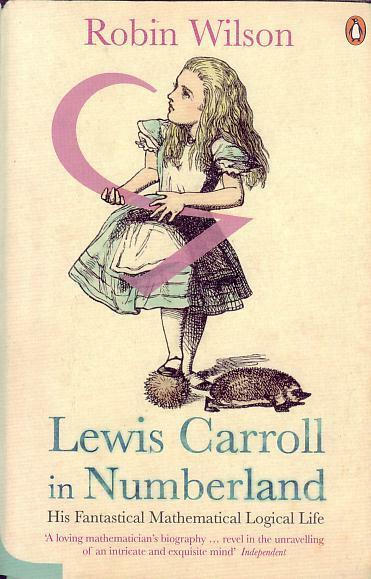 A collection of essays and criticisms on Alice, including contributions from Virginia Woolf, Alexander Woolcot (Lewis Carroll’s Gay Tapestry), A.M.E. Goldschmidt (Alice in Wonderland Psychoanalyzed), John Skinner (About the Symbolisation of Alice’s Adventures in Wonderland), Edmund Wilson (C.L. Dodgson: The Poet Logician) and W.H. Auden. Also has the lyrics to Grace Slick’s White Rabbit.